I've been looking at how easily common 433MHz home automation devices can be hooked up to centralize gathering data and control. One thing that is handy to know about these days with soaring energy costs is electricity consumption. The common Owl Energy Monitor (wireless) is an inexpensive way of doing this and a with bit of poking around it seems others are also having a look at this device. While the other attempts at figuring this out are fairly crude (eg. trying to buffer and align on the end of the data rather than using the in-built sync sequence), I would like to have a comprehensive understanding, and this is how far I've got so far. It's easy to take some flying guesses and working out something that seems to work only for some assumption to fail and it all to become a complete mess, so always best checking what high quality information (note - I avoid saying "facts" since I don't fully trust published information) is available. What appears to be simple current transformers are used as sensors (CMA113). These state 71A Max on them... which any engineer should immediately pick up on: that would be the rounded RMS current with a peak current of 100A. Crude measurement circuits are likely to peak detect rather than use RMS, so it would be likely that we are actually measuring peak current up to 100A which is a nice round number. This is nice as it makes data sync easy and takes well to AC coupled circuits where there is no fixed datum point (ground). This is a very well designed protocol and shows that skilled engineers were behind this. That's a lot more than I can say for some of the other 433MHz devices kicking around. 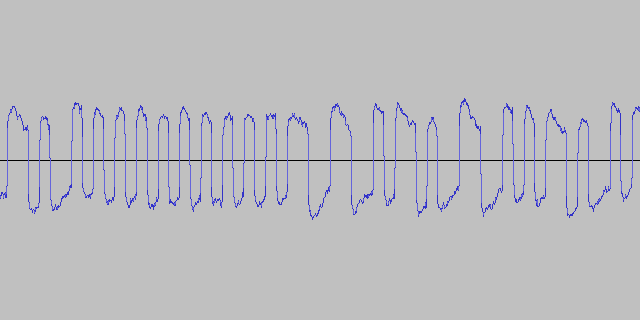 A bit of coding later and I had a basic Manchester decoder which can turn this into individual bits, and in turn find the sync and slice it up into bytes. After decoding and messing with sync patterns to fit the data exactly, we find there are 13 bytes of data. A few tests with varying power levels isolated the bits containing measurement data. Bytes 12 and 13 really behave like a checksum - they are consistent when the rest of the bits are the same and a few bits flip when other data bits flip. That also suggests this is a fairly basic checksum as the changes in the checksum are minimal for small data changes. Robust (cryptographic) checksums would likely have all or almost all bits change with a small change in data. Data always comes back in the same place and no bits change based connection so it's fair to assume that all the sensors are summed and added together. This means that we will actually need 12-bits to represent full scale. We also know that the unit is agnostic over which socket is used and does not transmit data about how many phases are used. 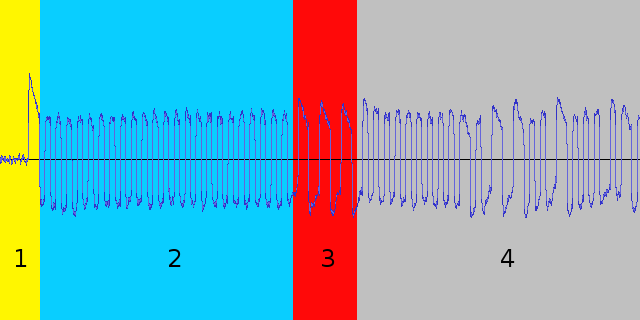 This shows that the first two bits after the sync are used for channel, however the next two bits seem to have always stayed zero for all further tests. I suspect the first nybble is actually available for addressing though only the first two bits used. This has been a bit inconclusive with 3 bits (1 in Byte 1 and 2 in Byte 2) going high with the lowest voltage test (3V). May also be suffering from floating inputs. No other bits than the end two bytes which are now very much looking like a checksum. After scratching my head about what the other data could be I tried varying the temperature in case it measures this as well. This again was inconclusive with a few bits changing erratically in Bytes 2 and 3 but nothing correlating with temperature, plus of course the suspected checksum bytes. Again, this might indicate some floating inputs and varying temperatures shifted thresholds enough (or just varied static levels) enough to flip bits. 2 Random(?) ID generated at startup, but only upper nybble. Bit 0x01 may be a low-battery flag, bit 0x04 is a "recently powered up" flag (for first 30 min). 5 Upper 2-bits of Current, but may actually be 4-bits with all phases being summed. Upper bits seem to be consistently zero, so possibly could treat these bytes as a 16-bit word. This is very nicely designed again - we clearly have thought that has gone into what data representations are useful as well as additional information like recent power on flag and battery low flags which could be used to make the user experience better. Data integrity is well considered giving two bytes of checks which although one isn't fully understood yet, together likely make a very robust system. Bytes 6-11 are a 48-bit counter accumulating the current measurement each second, and bytes 10-11 are always zero because it hasn't counted that far yet. This is very useful as allows an average since a previous sample to be taken. The high nybble of Byte is a period count-down. Every 6 second period it ticks down from 9 reaching 0 each minute. It's unclear what purpose this serves. It's worth noting that the 60 second intervals always start on a 0 value to another 0 value - this may be a simple means of ensuring 1 (predictable) sample every 60 seconds, or at least syncing timing with the receiver. Bytes 2-3 appear to change every time the power is applied and likely act as a randomized(?) unique ID... or at least the upper 24bits are - see below. The lowest nybble of Byte 2 appears to be a set of flags, and it would appear that bit 0x01 is the low battery flag. Bit 0x04 appears to be on immediately after power-up so possibly a "recently powered on" flag or similar and goes low again 30 minutes after power up. Other bits are not known at this point. Byte 13 definitely stacks up as being a sum of nybbles from the upper of Byte 1 (ie. after the channel) through to Byte 11. This results in the rather tight coincidental distribution around 100 but it all makes more sense now. Byte 12 is not included in the checksum which suggests that it may also be a checksum of some sort. What does seem consistent is that the parity of this byte matches the parity of the data set used for Byte 13 which suggests this is some kind of XOR based validation. This byte along with two bits (flags) is the only thing between me and a full decode, but at this stage it's completely possible to use this for basic parity checking. How'd you end up going with this? I'm wanting to try log my power usage, and found a CMR119 transmitter (from previous owner). Was hoping to get it logging to my Raspberry pi. I also found this project - http://rtlsdr-dongle.blogspot.com.au/2013/11/finally-complete-working-prototype-of.html? Using a different brand of monitor. I've been running this fully with the transceiver I put together for months now and it works very reliably. With work I've not had a chance to do much more, but as I get time I'm in the process of porting my whole home automation stack to C++ since with lots of supported device types being decoded in parallel it's getting a bit CPU hungry and I need to be able to optimize it on low level bit manipulation which is mostly what is going on for all devices.